I pride myself on being ready for most questions my kids might ask. I usually do OK, though it should’t be surprising that sometimes they catch me short and I tell them I have to get back with them with an answer. Occasionally though, they really throw me for a loop with a question so unexpected that it takes a moment to recover. Panic mode. Where could she possibly have come up with that? I thought. Is that something she got from school? Did she see something on the news out of context and come up with that. Is this something one of her friends said? Chrisie and I try so hard to keep bias and prejudice from creeping in to our children. Where, where, where did she get this? Certainly not from us! Why, we even have good friends who are Mexican. No, no! You can’t think that! That’s the kind of phrase that comes right before something inappropriate or mildly racist. Wait, I’m not trying to justify something I’m about to say, I’m trying to figure out why my daughter said that. It’s not about me. Just calm down. It’s time for some Serious Parenting. You can do this. Don’t jump to conclusions, ask good questions, figure this out, then bring it home with the Serious Parenting, maybe even Amazing Parenting. I collected myself, turned off the engine, and took a deep breath. I decided to get more information. If I could determine why she said what she said, then I would know how to handle the situation. I considered a few possibilities for the genesis of her statement and prepared. “Because they flew the planes into our buildings on 9/11,” she answered. OK, I hadn’t remotely considered that answer. “What, honey?” Maybe if I stalled for time, something brilliant would occur to me. “From whom?” Please don’t be a teacher, please don’t be a teacher, please don’t be a teacher. I never really though a teacher would have said that, but I was already considering worse case scenarios. Here was the dreaded question. I didn’t want to brush aside her question, but I also didn’t want her to get the idea that everyone of any specific ethnicity should be labelled based on a few. You can do this. You’re ready. No I’m not! You are, and stop thinking to yourself, it’s weird. I desperately wished for simpler times when she was younger and not asking such difficult questions. I wanted to go back to when I would throw her in the air and she’d laugh as her corn silk hair flopped up and down. Inspiration! I turned around and put on my Serious Face. I sat back, highly pleased with myself. I imagined my daughter accepting the Nobel Peace prize far in the future and thanking me, her father, who taught her to judge individuals based on their own actions, not on the actions of others who shared their ethnicity. Good job, you! I thought. Yeah, we did pretty well, huh? We? I thought you didn’t want me thinking to myself and now you’re using “we?” Let’s just ignore this and accept the award Amazing Parenting. We deserve it. Guess we don’t have to dust off that trophy shelf yet, huh? Oh, shut up. 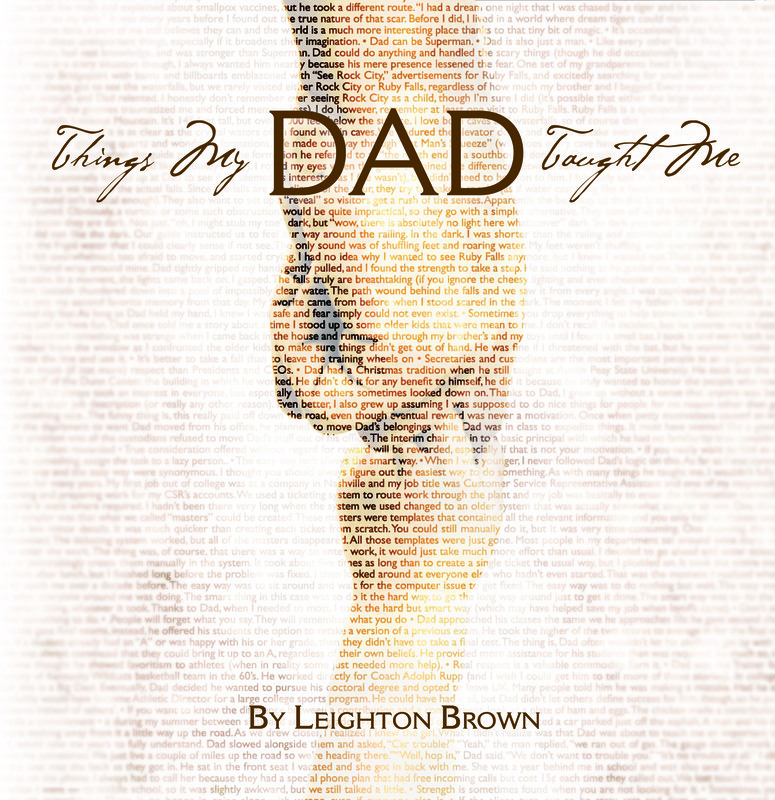 This entry was posted in Stories and tagged daughters, fatherhood, learning, parenting, teachable moments. Bookmark the permalink. I truly love your stories! And I love you loving them!